Andromeda Klein has a few problems. Her hair is kind of horrible. Her partner-in-occultism, Daisy, is dead. Her secret, estranged, much older and forbidden boyfriend-in-theory, has gone AWOL. And her mother has learned how to text. In short, things couldn't get much worse. Until they do. Daisy seems to be attempting to make contact from beyond, books are starting to disappear from the library, and then, strangely and suddenly, Andromeda's tarot readings are beginning to predict events with bizarrely literal accuracy. Omens are everywhere. Dreams; swords; fires; hidden cards; lost, broken, and dead cell phones . . . and what is Daisy trying to tell her? In the ensuing struggle of neutral versus evil, it's Andromeda Klein against the world, modern society, demonic forces, and the "friends" of the library. 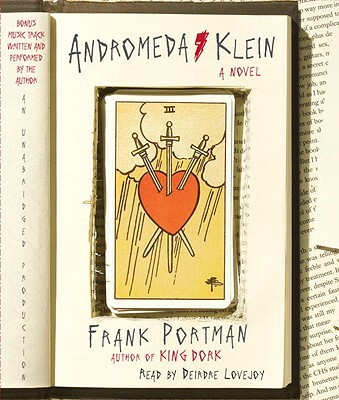 From Frank Portman, author of King Dork, comes another unique literary experience. Andromeda Klein is dark, funny, smart, and entirely unforgettable. Frank Portman (aka Dr. Frank) is also the author of King Dork and the singer/songwriter/guitarist of the influential East Bay punk band the Mr. T. Experience (MTX). MTX has released about a dozen albums since forming in the mid-1980s." "Frank lives in Oakland, California. You can visit him online at frankportman.com. "From the Hardcover edition." "With impish prose and ridiculously researched detail, Portman fully fleshes a one-of-a-kind character."